Quechua in association with Archos has unveiled a rugged smartphone. The handset is designed with an active lifestyle in mind and is resistant to shock, mud, water, sand, cold and snow. Quechua's newest smartphone is IP 54 certified and is powered by a 1.2 GHz quad-core processor and has 1GB of RAM on a Qualcomm chipset. The rugged device is built around a 5-inch display and offers a 5 megapixel main camera and 4 GB of internal memory that can be expanded via microSD card slot. The smartphone runs on Android 4.1 Jelly Bean and packs a 3,500mAh battery, which according to the company lasts for about 22 hours on calling. 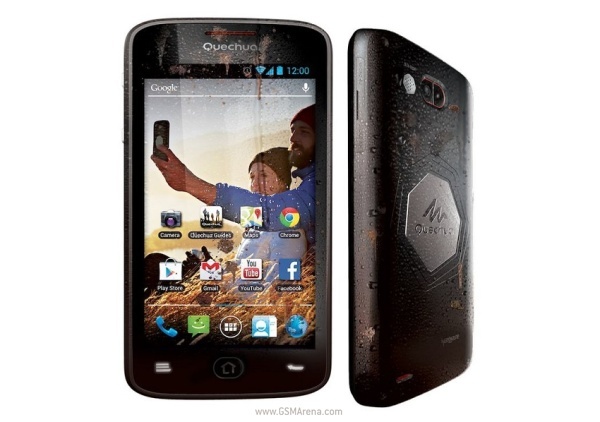 Quechua's rugged smartphone is priced at €230 (about $313). Unfortunately, there is no word on the availability of the device at the moment. I want to buy this phone as soon as it available in Indian shopping website.